Our team of people is our best investment. Get to know us a little better. Discover our investment process and when We invest in our funds. Our Value Investing philosophy is reflected in our investment funds. This month, we continue with the series of quarterly communications started last July. If in the last letter we devoted an extensive part to explaining what it is for us to be a value investor, on this occasion we would like to delve deeper into the concept of a “safety margin” and, more specifically, into two situations that substantially increase it: convexity and optionality. In addition, we will review the most noteworthy movements in the portfolios of the products we manage and what we can expect from them in the coming years.  Finally, I would like to thank you, as always, for placing your trust in this management team and in the Horos Asset Management project. You can count on us working to meet your expectations and I would like to take this opportunity to remind you that the entire Horos team is fully at your disposal for anything you need. Additionally, you can access september factsheets for Horos Value Iberia, Horos Value Internacional and Horos Internacional PP, where you can see more in detail our top 10 positions for each fund.